Amy Handmade Ceramics: What are they!! 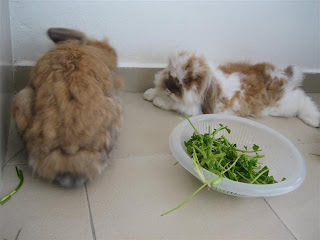 They are friend's rabbits, stay at my house now during her holiday and they are really cute! Watching them walking around is like watching 2 mops or 2 dogs or 2 wool balls, etc.. 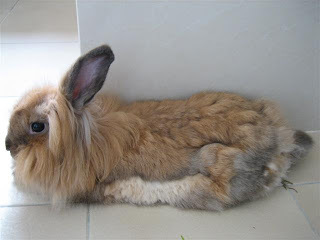 Unfortunately, Chuchu doesn't like outside rabbits and Meowmeow is too scare, so they cannot play together.